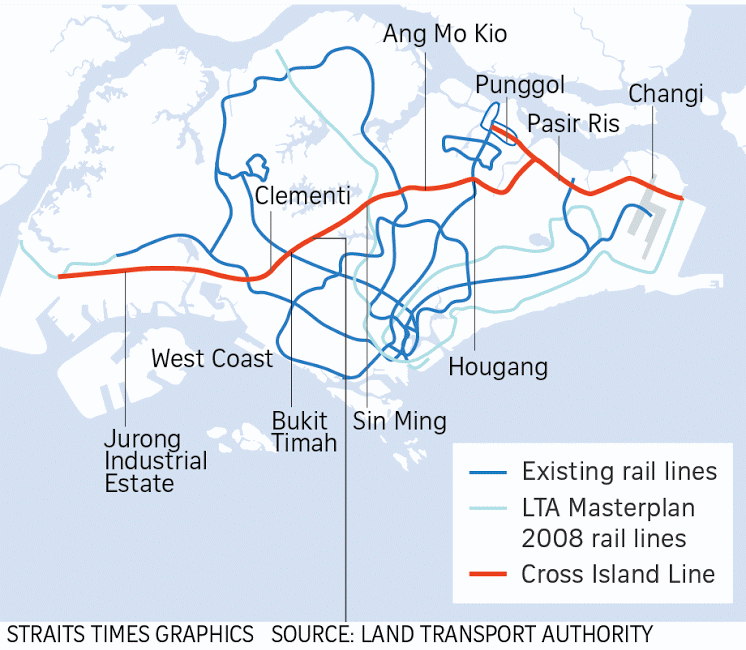 When the news of the Cross Island Line came out on 17th January 2013, there was a public outcry. 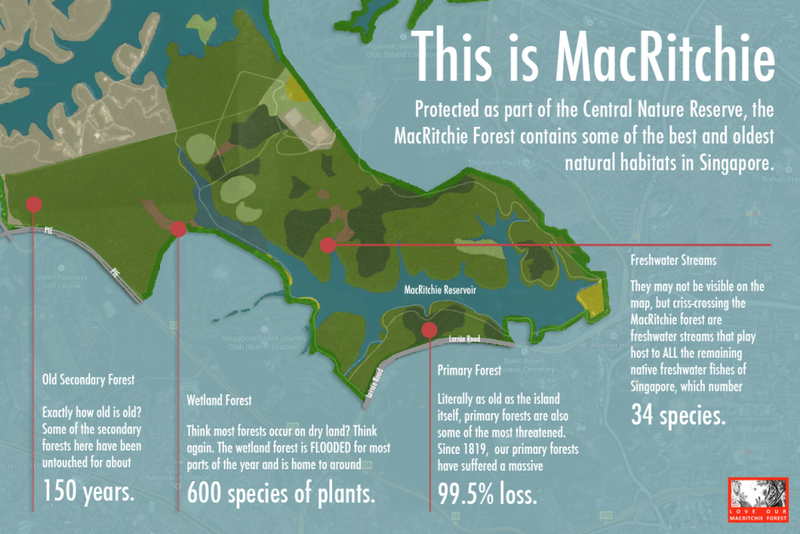 Grassroots groups like “Love Our Macritchie” was formed and “Nature Society Singapore” produced a position paper on the Cross Island Line proposal. Having seen Bukit Brown give way for urban development, individuals and groups have come together to prevent MacRitchie Reservoir from becoming another victim of Singapore’s urban development. 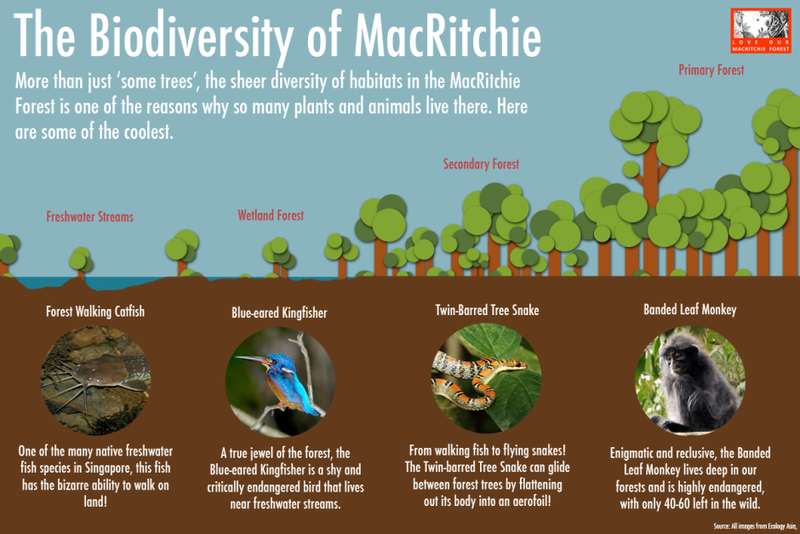 As MacRitchie Reservoir holds one of the last remaining primary forests left in Singapore, there is a rich biodiversity there that needs to be preserved. 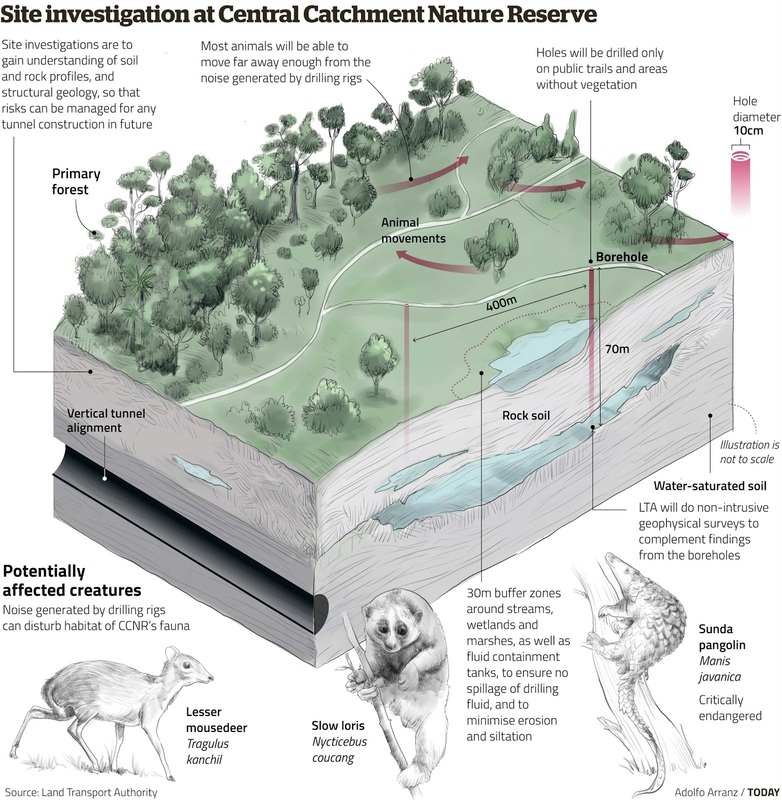 Developing MacRitchie is an ongoing research project inspired by Singapore’s Land Transport Authority’s proposal to build a metro line - Cross Island Line – across MacRitchie Reservoir by 2030. The project was first conceived in a mixed media installation, consisting of three video monologues and three alternating signs in a man-made rainforest environment. MacRitchie Reservoir is a reservoir that lies in the heart of Singapore and is part of the Central Catchment Nature Reserve today. Developing MacRitchie investigates the notion of development in Singapore in the context of the Cross Island Line, questioning if development is only defined by new creations. Within the space, boardwalks and plants are introduced to replicate MacRitchie Reservoir’s environment. The boardwalks guide the audience to experience the immersive space. The video monologues are narrated in three perspectives – primary forest, animals and plants – , expressing their views on the urban development around them. On the contrary, the signs are sculptures showing signs found in MacRitchie Reservoir and the edited signs. 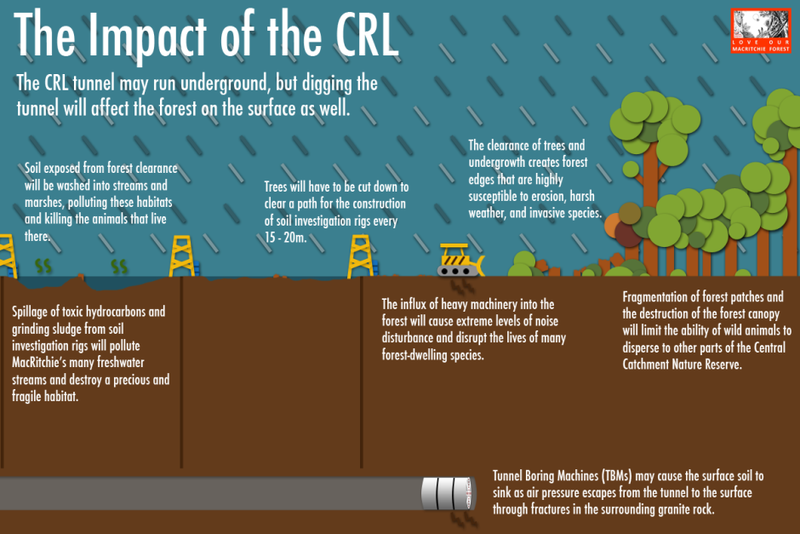 The original signs display information about the biodiversity in MacRitchie Reservoir, while the edited signs show the potential damage which the Cross Island Line will cause to MacRitchie Reservoir. Developing MacRitchie has since exhibited in the ADM Grad Show 2015 in NTU School of Art, Design & Media and Each Blade of Grass Each Shrub Each Tree in The Substation Gallery, Singapore (2016). MacRitchie Reservoir is one of 17 reservoirs in Singapore. It was built in the late 1860s due to the increasing water demands after the establishment of the trading post in the island by the British and the increased plantations. The reservoir was first named “Impounding Reservoir” and renamed “Thomson Road Reservoir” in 1907, before changing to “MacRitchie Reservoir” in 1922 after James MacRitchie, who was the Municipal Engineer of Singapore from 1883 to 1895. Within the thick forests in MacRitchie Reservoir, lies the ruins of a Japanese Shinto shrine, Syonan Jinja. It was built during the Japanese Occupation to commemorate the Japanese soldiers who died in the Malayan invasion and was destroyed by the Japanese before their surrender to the British in 1945. Today, it is part of the Central Catchment Nature Reserve together with Upper Pierce, Lower Pierce and Upper Seletar reservoirs. 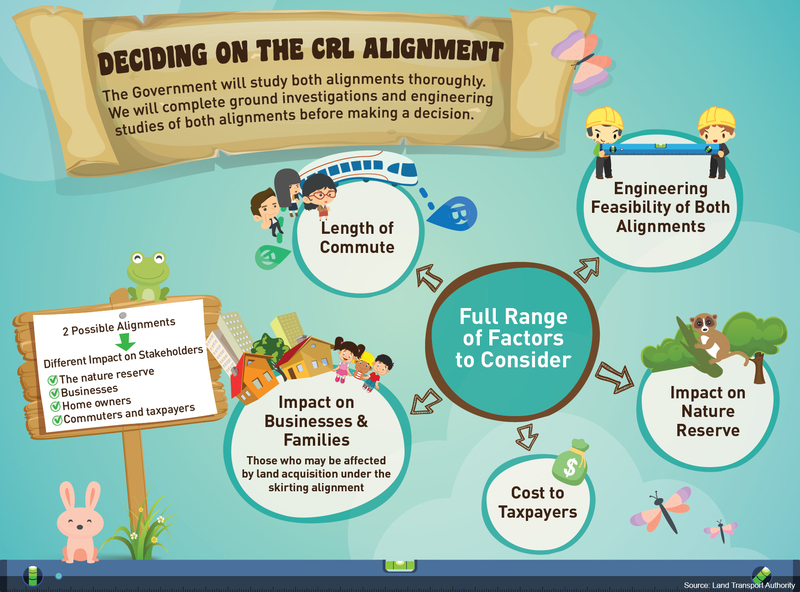 The CRL was announced in January 2013 as part of the Government’s rail infrastructure expansion plan to double the rail network in Singapore by 2030. 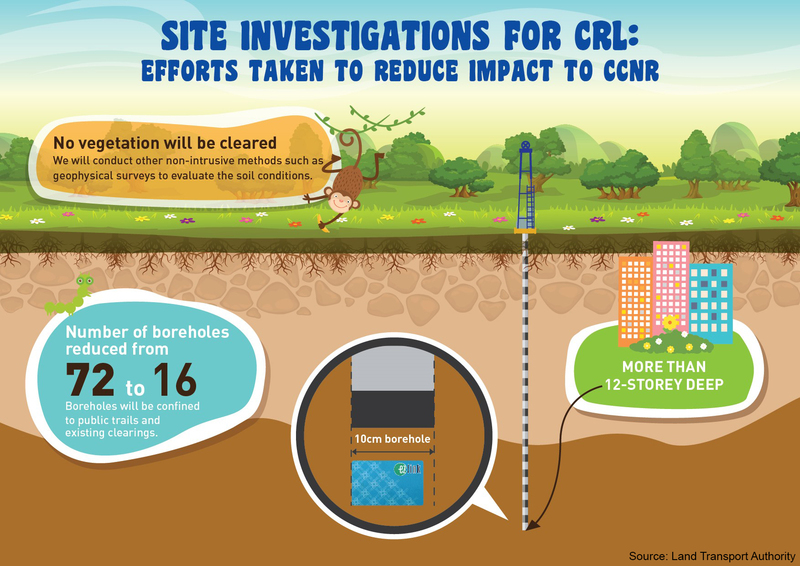 Targeted for completion by 2030, the 50-km CRL will enhance connectivity between the east/north-east and the west of Singapore and provide commuters with an alternative to the current East-West Line. 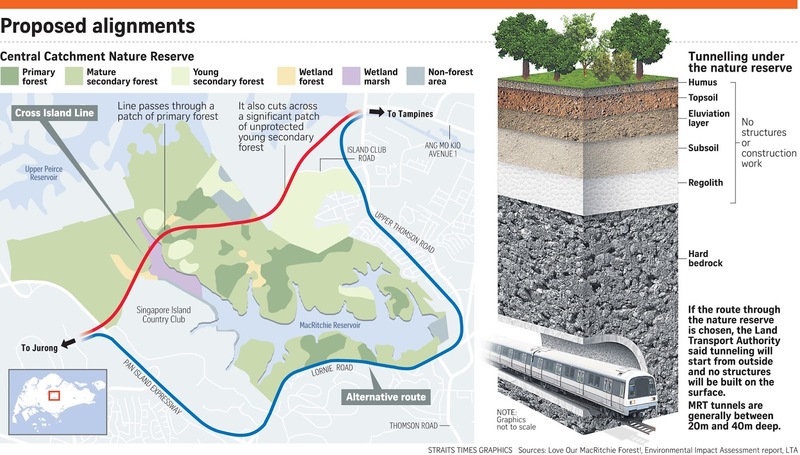 How is the Cross Island Line affecting Macritchie Reservoir? 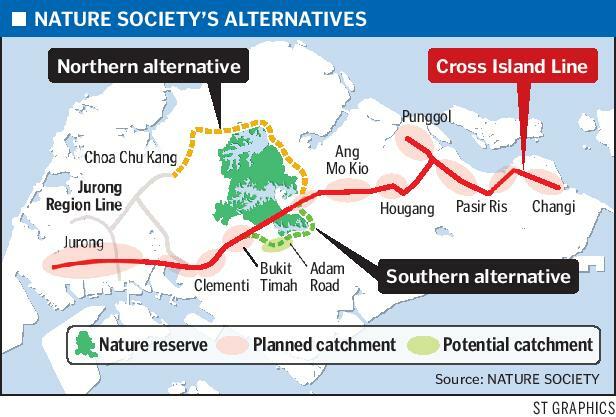 As of 2015, Nature Society Singapore has proposed two alternative routes to go around the Central Catchment Nature Reserve - Northern & Southern alignment. However, in 2016, Land Transport Authority (LTA) shelved the Northern alightment alternative route and decided to focus on the possibility of the Southern alignment alternative route. The direct alignment is 4km long with 2km of tunnels running up to 12 storeys beneath the CCNR, while the skirting option is 9km in length. Till date, LTA has insisted "No decision has been made on which of the two alignments to pursue." although Phase 1 of the Environmental Impact Assessment (EIA) has been completed and released in 2018. 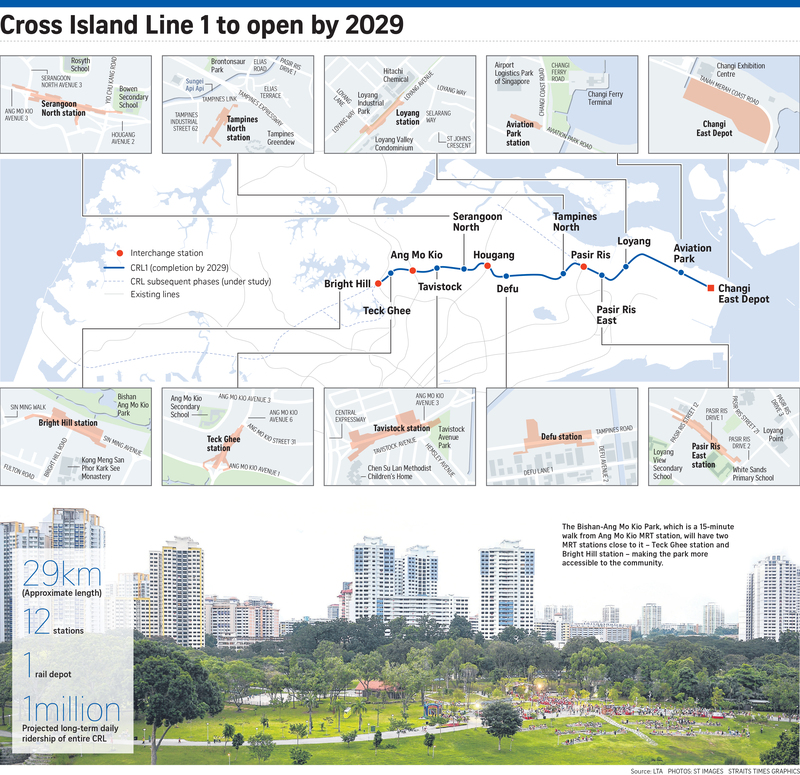 On 25 January 2019, the first phase of the Cross Island Line - 12 stations - has been finalised and announced by Transport Minister Khaw Boon Wan.